Our first article on the subject of “Impact Investing” (IMPIN) provided a first view of the special characteristics of IMPIN. We showed that the purpose of this new investment field is not only to achieve a monetary return on investment, but at the same time to achieve a positive effect in society and/ or the environment. In order to implement the corresponding investments, we need an existing infrastructure with the corresponding “players” and projects on the market. These are briefly described below, with the first insights on the performance of IMPIN and the development status in Germany being discussed as well. 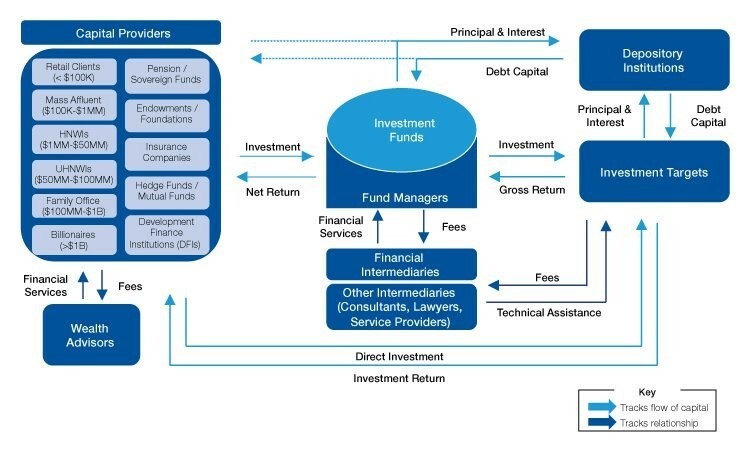 Traditionally, the ecosystem of IMPIN is comprised of at least three groups: investors, intermediaries and investment targets (also see figure 1). Capital recipients may be for-profit companies as well as charitable organizations. Social start-ups are also among the regular recipients and are supported by intermediaries such as ImpactHUB or Ashoka. Due to the continually increasing interest in IMPIN among private as well as institutional investors in the last few years, the investors now feel a certain pressure to invest money reasonably and with a “deeper meaning”. 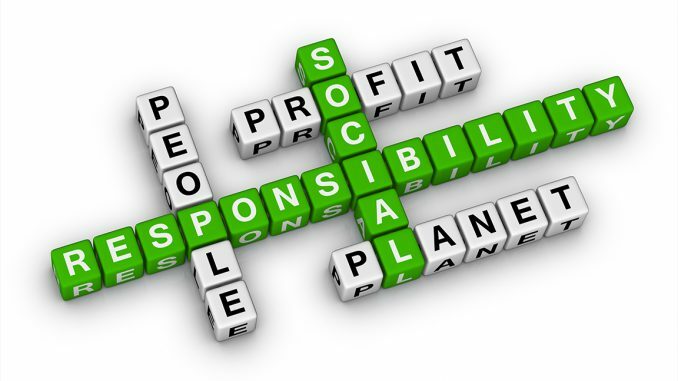 However, identification and the due diligence for possible investment targets that may achieve a measurable social or environmental impact in addition to the financial return, along with its associated effort, pose a special challenge. This particularly applies to projects in the private-economy and therefore non-public area. In the USA in particular, a great many Impact Investment funds were created in the last few years. Even companies such as Goldman Sachs, JPMorgan Chase, Morgan Stanley, BlackRock and Bain Capital have packed the corresponding bundles, which invest more or less exclusively in IMPIN projects and also preferably in public projects. Rich millennials from the USA keep aligning their family offices accordingly. (cf. FT Wealth, Issue 40, October 2016 (https://www.ft.com/content/5144467e-8ee3-11e6-a72e-b428cb934b78)). For example, Justin Rockefeller funds the biological production of leather without using animal material (www.modernmeadow.com); Liesel and Ian Simmons supply private households in Kenya, Tanzania and Uganda with affordable solar power generators (www.m-kopa.com); Jason Ingle produces vegan meat alternatives (www.beyondmeat.com) while Elisabeth and Kevin Phillips sell luxury jewels produced by women in Uganda and Dallas (www.akolaproject.org). In order to actively enter IMPIN, it is of central importance to define the objectives of an investment. According to the current “GIIN Annual Impact Investor Survey“, nearly half of the investors (47%) focus on the impact both on the environment and on society. Nearly half also invest in projects with social impact (48%). 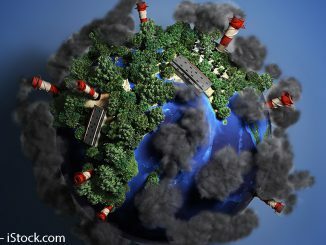 Only about 5% focus exclusively on environmental issues. In detail, the most important social impact segments are access to finance, health improvement projects and improvement of access to education (see figure 2). The “Global Impact Investing Network” (GIIN) also publishes an “Impact Investing Benchmark” at irregular intervals. This shows that financial performance of Impact Investing funds has seen varying degrees of success by direct comparison with funds of the “Comparative Universe” based on the founding year: Older funds had a clearly better result, while younger funds were unable to compete with the comparison benchmark funds in terms of money. However, this did not consider the influence on society and the environment. In particular, smaller, younger funds with volumes below 100 million USD in turn had comparatively better results (Internal Rate of Return (IRR) of 9.5% between 1998 and 2010) than the benchmark value (4.5%). The desire to invest money in ways that not only lead to financial returns but also serve to do good was fueled in particular by the financial crisis of 2008. The investment opportunities and concepts offered behind them are accordingly new. As compared to “conventional” investment volumes, the estimated 60 billion USD that have been put into IMPIN around the world so far are extremely low. In Germany, not even 100 million EUR had been used that way up to 2015. It is clear that this subject is still in its early stages. One of the greatest challenges, not only in Germany, is the availability of certified initiatives and projects as recipients of the investments. About 45% of the capital collected in Germany has already been invested. Due to a lack of German target objects, projects in Austria and Great Britain are sought as well, however. Annual investments of 7 to 8 million are expected. 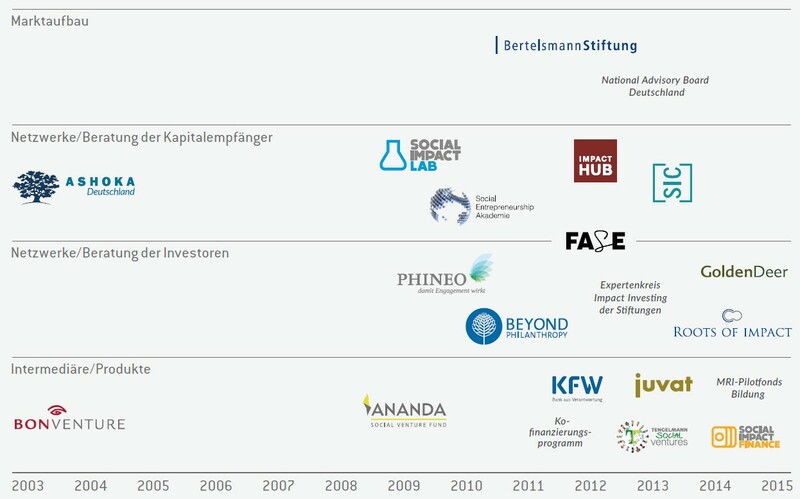 The publication series “Social Impact Investment in Deutschland” by the foundation Bertelsmann Stiftung regularly presents the results of the work of the National Advisory Board, an expert group made up of representatives of the social and financial sectors, foundations, science and the public authority sector. It is targeted at strengthening IMPIN in Germany. According to the current report from 2016, this manageable market is mostly carried by fundraising of two large social-venture-capital fund companies, Ananda Ventures and BonVenture. 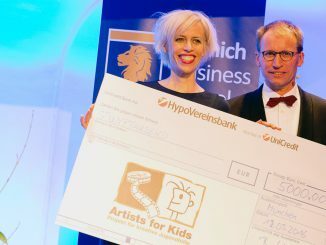 KfW and BonVenture financed the founding of discovering hands, an organization that trains blind women in conducting palpations for breast cancer in 2012. In late 2015, for example, WohnRaumGesellschaft was founded, a project developer for affordable living space in major German cities for average earners (educators, police, small business owners, etc.) –financed by Ananda. Usually, mezzanine or loan capital was used to fund the projects. A study by McKinsey from 2015 sees great development potentials for IMPIN in the areas of environment and energy, health, fighting unemployment, and affordable living for Germany in particular until 2025, while the well-developed social state means that social investments in the narrower sense are not at the focus. Finally, there is the question of whether IMPIN pays off at all. While the financial results can be measured and quantified easily, the resulting “Impacts” usually can only be estimated. Not least, effects are often affected indirectly and by multipliers and cannot be measured and attributed clearly to the investment. As the GIIN “Annual Impact Investor Survey 2016” explains, investors’ expectations to “Impact Performance” are, however, met nearly entirely – and their expectations to the financial performance are met to 89% as well. Even though Impact Investing is still a small shoot in the investment landscape, investing in its growth and observing its influence on people’s quality of living is nevertheless attractive. Christian Schmidkonz, Professor for Asian-Pacific Business Studies at Munich Business School, is Academic Program Director of the Master International Business study program. His academic focus is on Business in China and Entrepreneurship. After studying economics at the Ludwig-Maximilians-University in Munich and graduation at the Mercator School of Management of the University Duisburg-Essen, Schmidkonz worked as senior consultant for the region of “Greater China”. Schmidkonz is a partner of the THINK!DESK China Research & Consulting and works as an analyst on topics around Taiwan.